The Elder Tree, is actually highly poisonous in every aspect, apart from the flowers and berries. In fact, the vapour from the tree in older times used to send people into a toxic stupor if they rested at its base. Yep so don’t chew the bark as it has high levels of cyanide. So that is the warning over. Once you have correctly identified the tree (don’t get the flowers confused with water hemlock!) and collected some flowers, you eat them raw, or fry them lightly. We also have a recipe for Elderflower cordial you might want to try. 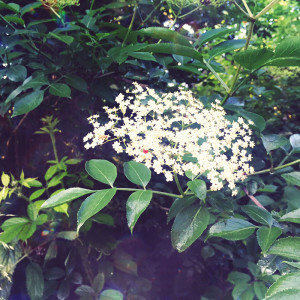 Elderflowers have a very delicate, slightly sweet sour taste. Great for decorating summer fruit desserts.